Get to know Miss Dance America from Toledo, OH Nationals, Madelyne Spang. Madelyne Spang started dancing at 2 years-old. She recalls herself running around the dance studio as a tiny energetic dancing nugget. As Madelyne continued to train through the, she started to lose her drive for dancing and her time in the studio would expire. It wasn’t until she discovered Studio 19 Dance Complex when she was about 12-years-old. “It was really different, a more serious atmosphere, and more competitive which I liked.” She is still with Studio 19 Dance Complex from Cranberry Township, PA, under the direction of Tammy Croftcheck & Katie Watts. Today, Madelyne is our reigning 2014 Miss Dance America crowned the Toledo, OH National Finals: earning the title with her explosive jazz performance titled “Control”. KAR was able to catch up with the talented 16-year-old dancer during her downtime while she was attending a Dance Intensive in Southern California. MS: Jazz & Hip-hop. It’s upbeatness of it, it’s fast. It’s happy. It’s like free expression. When did you realize that dancing was your passion ans something that you wanted to pursue? MS: When I was 11, I almost quit dance. Then I switched to Studio 19, I just saw something different in it and it complete changed my look on it and I fell in love. It’s a more competitive studio. They go to conventions, I got to travel with dance. I was dancing more days a week. Just a different atmosphere and the dancers were much more serious too. MS: My performance, I love being on stage. I’m very versatile. I like to study all the styles rather than just sticking to one. I’ll take all the classes, like even take tap classes. Tap is not my strongest, but I’ll at least take all the tap classes. What are the biggest challenges you’ve had to overcome? MS: When it comes to my hips, I have no flexibility there whatsoever: like with tilts and all that. And tilts are really popular. When I’m learning combos in conventions, there’s always a tilt so I have to find my own way to work through that. As far as time management, my dance studio is an hour from where I live. It was really hard for me doing school and getting to dance on time. To fix that, I started cyber-schooling to make it easier on myself. I needed to manage my time better. Dance & school are both a priority to me. I would have to miss days at school and get behind. It was really hard to catch up. Now, I can do my work when I want to do it. If I want to work ahead, I can work ahead. Was there an inspiration behind the “Control”? MS: I had a jazz solo for two years. It was my top solo, and I was winning a lot. And so we were thinking, What’s gonna top my old solo? So basically, the inspiration was just to keep me growing as a dancer. 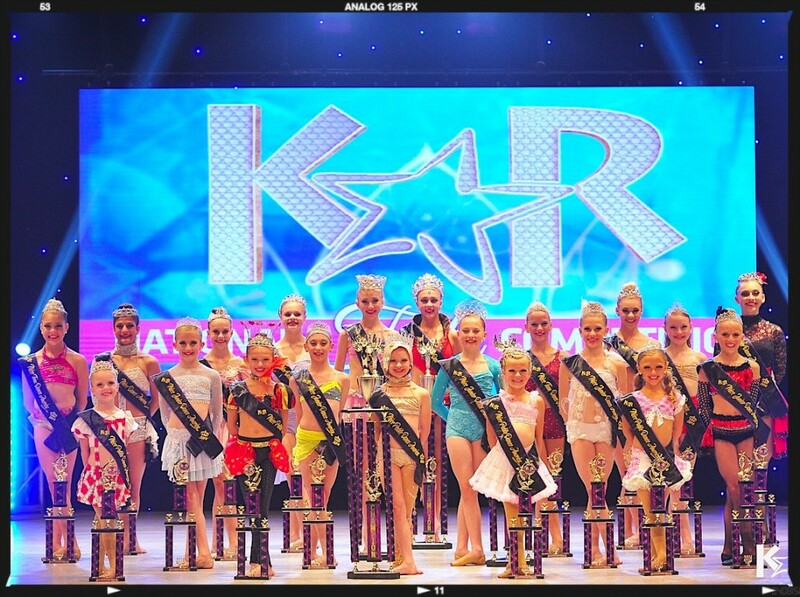 What did it feel like to dance on the National Title competition at the KAR Finals this year? MS: I loved the stage. The background of the stage was really awesome! It was really different for a competition; it was a really nice atmosphere. The Title competition was definitely my favorite part. Tell me what you have been up since winning the Miss Dance America title? MS: I’ve been assisting with Katie Watts. I love traveling. I’m not good at sitting around. I’m always dancing. I’ve been to many places this summer. MS: I’d like to have a dance career, move to LA. I want to audition for different things. I hope to become a choreographer, teach at conventions, travel like choreographers do. Anything with dance really. As long as I’ll be dancing, I’ll be really happy. That’s all I want to do. What is some advice you would give to young dancers? MS: Keep working hard. Don’t give up. Don’t get discouraged. Be open to all types of dance. Any time you can take a class, you should take a class. Any kind of dancing is good dancing, and you’re going to grow from it in some way. If you love dance, don’t give it up. Very well-said, Madelyne. We are looking forward to seeing you succeed, and we will continue to keep the KAR fans updated on what our Miss Dance America is up to during her reigning year.